In Pets in America, I discuss how this cultural equation developed, as the status of children and also of selected animals was raised thanks to sentimental culture’s particular domestic logic. I do love the work of this anonymous illustrator. The small card (no larger than four inches by two inches) is laugh-out-loud funny. Feel free to cut and paste! 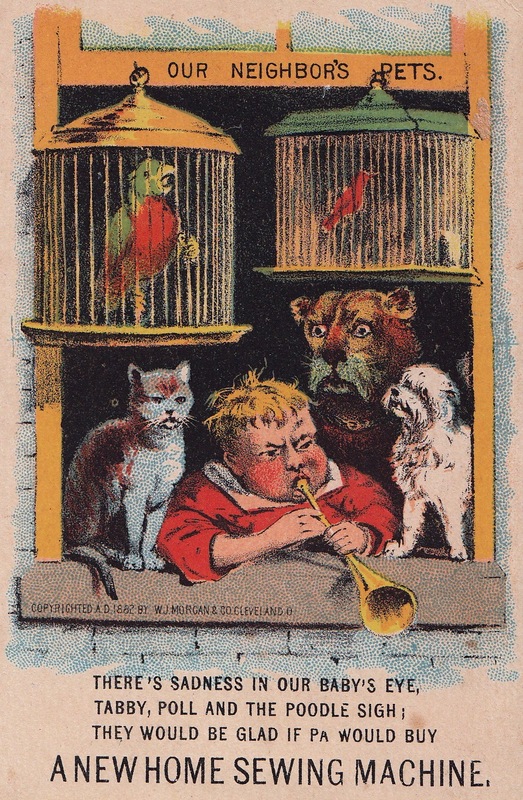 “Our Neighbor’s Pets.” Advertising trade card, chromolithography, copyrighted by W.J. Morgan & Co, Cleveland, Ohio, 1882.